On Friday, December 9, residents along Apple Valley Rd., from Antelope Dr. to US-36 will experience a temporary water shut-off for an estimated four hours, as a new fire hydrant is scheduled to be installed on the 1700 block of Apple Valley Rd. The shut-off will occur in the early afternoon on Friday, and may be off until 5 p.m.
During the installation, waterlines throughout Town may experience fluctuation in water pressure. If the team encounters complications during the installation prep work on Thursday, the water shut-off will be postponed until early afternoon Saturday, December 10, allowing for extra time to be fully prepared before the water line is cut and installed. Notice will be sent of any schedule changes, including complications resulting in a delay. The Town of Lyons will hold an open house on Monday December 12, 2016 at 5:00 P.M. regarding the recently completed Storm Water Master Plan for the Town, funded by a CDBG-DR grant from HUD. This plan updates a previous plan completed in April 1998. In addition to the basic updates of that plan, this plan modernizes the techniques used for runoff determination at various storm events, introduces concepts of updated codes and standards, water quality treatment of runoff, identifies areas at risk for flooding or inundation during various runoff events, identifies large scale capital improvement costs for the major runoff basins, identifies alternatives that could be considered in developed and undeveloped areas of the Town and adjacent un-incorporated areas of Boulder County, and other important elements of a storm water master plan. This plan will be a useful tool for the Town of Lyons Board of Trustees and Staff to help prioritize and identify capital improvements and to inform land and homeowners of issues and concerns related to their property; for landowners and business owners to understand and be informed of the conditions of the storm water runoff; and for developers to understand issues and constraints and potential capital investments related to projects and development. Consultants will be on hand to discuss the plan. The draft plan is available for review here. Time: 5:00 - 6:45 p.m. Following the 2013 flood, the Colorado Water Conservation Board (CWCB) initiated a program to re-map the predicted 1% chance regulatory floodplain (100-year flood zone) of the most affected waterways. The program was named the "Colorado Hazard Mapping Program" or "CHAMP." The CWCB draft floodplain maps will reflect changes to waterways caused by the 2013 flood and the recovery work since that flood. They'll also utilize more accurate data and advanced technology than was available when the current maps were created. As a result, the CWCB draft maps will be a more accurate representation of the anticipated 1% annual flood elevation and therefore more precisely reflect the flood risk for residents than the existing regulatory floodplain maps. The Town is currently reviewing the proposed new floodplain maps, within Town limits. The working draft map can be found here. The Town is hosting a public review session on Lyons Proposed Draft Floodplain Mapping on Wednesday, Dec. 21, from 5:30 to 7:30 p.m., at the Lyons Town Hall Board Room. The Town has also provided the current floodplain maps, adopted by FEMA in 2012. Boulder County has prepared draft floodplain maps for unincorporated Boulder County. Residents within the project area along the North and South St. Vrain creeks and St. Vrain Creek (Longmont Dam Road and Red Gulch Road to Lyons and from Lyons east towards Airport Road) are invited to meet with state and county staff to review draft map data for these reaches. A formal presentation will be followed by an opportunity for attendees to take part in a hands-on map review session with state and county staff. The flood recovery and resiliency stream restoration project within the project area known as “McConnell to 36” will begin in the coming weeks. On Thursday, Dec. 15, beginning at 5:30 p.m. at Lyons Town Hall Board Room, the SVCC will be hosting a public meeting to gather input from those who have interests or assets within the project area. RSVPs are not required, but are appreciated by Wednesday, December 14th. To RSVP or to obtain additional information, please contact Erika Shioya, SVCC Assistant Watershed Coordinator, at eshioya.svcc@gmail.com, 303-774-4513. 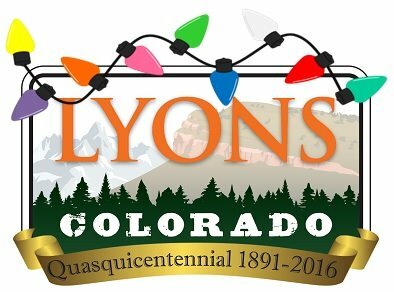 The Lyons Utility and Engineering Board would like to emphasize the importance of not putting Fats, Oils or Grease (also known as FOG) and Food Scraps or any Plant Matter down your drain. Processing FOG at our wastewater treatment plant increases the cost of running the plant. Food scraps should be composted - not put through a garbage disposal. FOG should be disposed of in a sealed container into the garbage. Please help keep our utility bills from going up and our new wastewater plant running at less cost.